Finding a reliable little place for breakfast is important, especially on those mornings when you’re in a hurry but still need a nutritious meal to get you started. On days like this, many Alexandria locals are happy to turn to Extra Perks Coffee Shop for hot beverages, pastries, breakfast sandwiches, and hearty, sit-down meals. If you're in a rush, just head straight to the counter and place your order, but if you've got the time to sit down and relax, part of this place's charm is in its atmosphere. 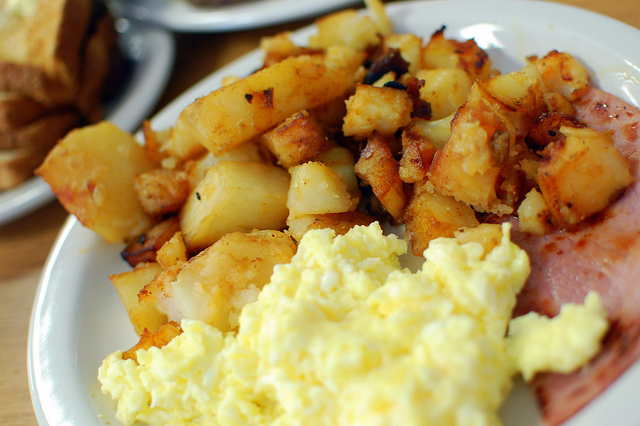 The kitchen's most popular dishes are probably the full British breakfast, which includes eggs, bangers, bacon, baked beans, and a grilled tomato with toast on the side, and the full American breakfast of eggs, hash browns, and your choice of meat with toast on the side. Try one of those, or go for a plate of waffles or a bowl of oatmeal instead, if that’s more your style.